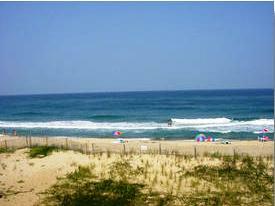 Thank you for allowing Sun Realty to host your next Outer Banks vacation! We appreciate your business and look forward to providing you with a fantastic vacation experience. To make the payment process as simple as possible, we've outlined everything you need to know below. If you have any additional questions, please feel free to contact us at 888-853-7770. We're always happy to assist! What payment methods does Sun Realty accept? Does Sun Realty offer flexible payment options? All E-Checks must be submitted at least 10 days before your check-in date to allow time for processing. If your check-in date is less than 10 days away, please call our office to process a credit card payment or make arrangements to Fed-Ex your payment. Click HERE to make a payment by Electronic Check through VacationRentPayment. *You will be transferred to a secure 3rd party payment site to process your transaction. Be sure to include your name, reservation number, and phone number along with your payment. Credit Cards can also be processed through GuestWeb, a secure 3rd party website approved by Sun Realty. Your personal and financial data is secured through a 256-bit AES encryption. Please note that it may take up to 5 days for your payment to post to your account. If your check-in date is less than 2 days away, please call us at 1-888-853-7770 to process your credit card payment. Multiple cards can be used to make payments on your vacation rental; however, only one card will be processed at a time. The total balance due will not automatically change to reflect back-to-back payments, so keep this in mind when making payments on more than one card. Click HERE to make a payment by Credit Card through VacationRentPayment. *You will be transferred to a secure 3rd party payment site to process your transaction. Your Advance Rent Payment (1/2 of total rental amount) and your Travel Insurance Premium (optional, but recommended) is due within 5 days of booking . You may make your payment immediately when making a reservation though SunRealtyNC.com or choose one of the payment options outlined above. Please note that your reservation is not confirmed until we receive this initial payment. Once we receive your Advance Rent Payment and Travel Insurance Premium (optional), you will receive an Electronic Lease by email. Follow the simple instructions to sign the electronic document. For guests without email access, we will mail a traditional printed lease instead. Your Remaining Balance (remainder of rent and taxes) is due 30 days prior to your check-in date. Your Total Rental Payment (100% of rent and taxes) and your Travel Insurance Premium (optional, but recommended) is due within 3 days of booking. Call our office to process a Credit Card payment or send a Cashier's Check/Money Order by Fed-Ex to: Sun Realty, 1500 S. Croatan Hwy, Kill Devil Hills, NC 27948, Att: Guest Payments. Once we receive your Total Rental Payment and Travel Insurance Premium (optional), you will receive an Electronic Lease by email . Follow the simple instructions to sign the electronic document. For guests without email access, we will mail a traditional printed lease instead. In order to confirm your reservation in this short timeframe, your Total Rental Payment (100% of rent and taxes) and your Travel Insurance Premium (optional, but recommended) is due immediately. Once we receive your Total Rental Payment and Travel Insurance Premium (optional), you will receive an Electronic Lease by email. Follow the simple instructions to sign the electronic document. Ask about Our Smart Pay Plan! Found a property that you like, but need a little extra time before making your first payment? We've got you covered! A helpful Vacation Specialist can set up a courtesy hold for you - providing the extra time you need to coordinate with the members of your vacation party. Mention the Smart Pay Plan option on your booking page when reserving through SunRealtyNC.com or call us at 1-888-853-7770 and ask how to apply it to your reservation.